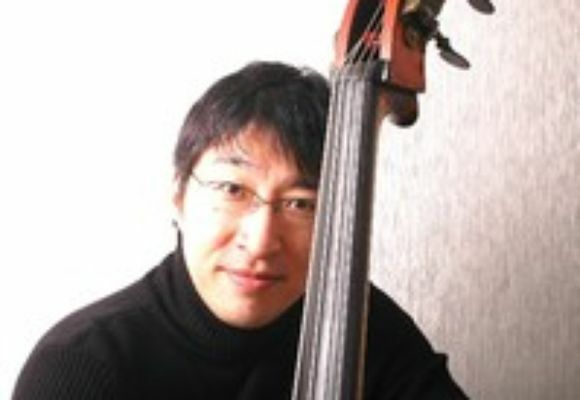 The acoustic sounds inspired Kengo then he began taking the acoustic bass seriously at that time. Later, he played at Wallys Jazz club with young lions including Roy Hargrove, Antonio Hart and Anthony Wonsey. In 1991, he was awarded the John Neves Memorial scholarship in recognition of outstanding musicianship from Berklee College of Music. In 1991, he moved to New York City to begin his professional career as a musician. Soon there after, his glowing reputation preceded him and was in great demand from some of New York Jazz musics leading lights. He first recording session was in 1994, where he recorded the album In the Movie with Roy Hargrove, Jesse Davis and David Sanchez. This project was a Japanese and American collaboration called The Jazz Networks. His first performance with Lincoln center Jazz for young people concert series, directed by Wynton Marsalis was in 1996. In 1997, he performed at President summit as a member of Wynton Marsalis Quartet. Since March 1998 through January of 2000, he had been performing in the Cyrus Chestnut Trio. In October 2000, he began the recording sessions for his debut album, produced by Makoto Ozone. The album was finished and released in February of 2001 and called Divine under the Verve/ Universal music label. Since the release of Divine, he has been chosen three years consecutively from the readers poll of the Swing Journal magazine as the number one Japanese Jazz bass player. As a composer/arranger, Swing Journal magazines readers poll has chosen him in the top ten.